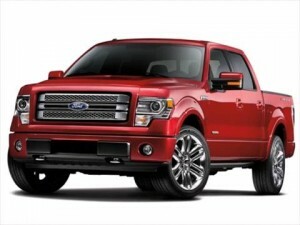 Buyers in the market for the best 2013 4-door trucks can choose from compact to full-size, gasoline-powered, FFV and hybrid. 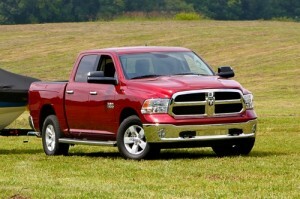 It really comes down to what you need the truck for and what you want it for. It’s that simple. Towing, hauling, going-off road or strictly on-pavement, looking good, using less fuel and being eco-friendly… what are your requirements? Here is a listing of the best 2013 4-door trucks that covers pretty much the gamut. There are no bad choices here, just what works best to suit your needs. 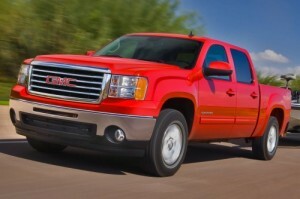 2013 GMC Sierra – The upscale version of its corporate sibling, the Chevrolet Silverado, the 2013 GMC Sierra 1500 crew cab shines for its strong V8 engine options, comfortable and composed ride, As Consumer Guide remarks, “The Sierra is a terrific big rig for those who want something other than a Chevrolet, Ford or Ram badge on the hood. It shines for overall refinement as well as a plethora of features that help the truck play as well as it works.” The GMC Sierra crew cab offers the most room for anyone who needs to carry six people with comfortable seating and plenty of legroom. 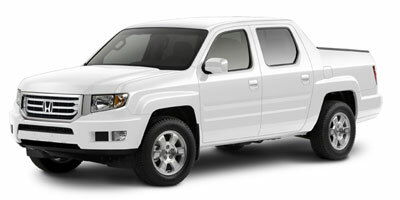 Other considerations include the 2013 Toyota Tundra full-size pickup, which is practical, although outdated, and has a ridiculous amount of rear seat room in the Tundra CrewMax. For a four-door full-size pickup with a 7-foot cargo bed, there’s the 2013 Nissan Titan crew cab, one of the longest trucks on the market. For sheer luxury, although less towing capability, you can’t beat the opulence in the 2013 Cadillac Escalade EXT.